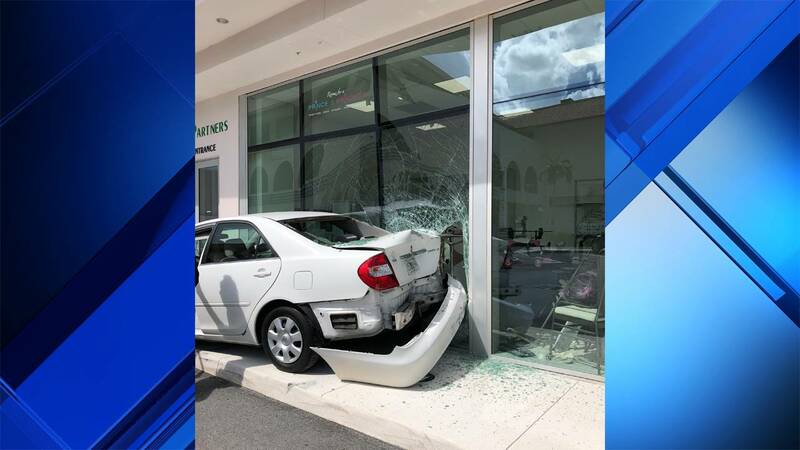 BOCA RATON, Fla. - Surveillance video captured the moment a car crashed into a store in Boca Raton. The crash was reported Friday morning at Rooms for a Prince and Princess, a children's store located at 6859 SW 18th St. There is also an OB-GYN office upstairs in the building. "I feel very shocked – very shocked," store owner Natalie Stern said. 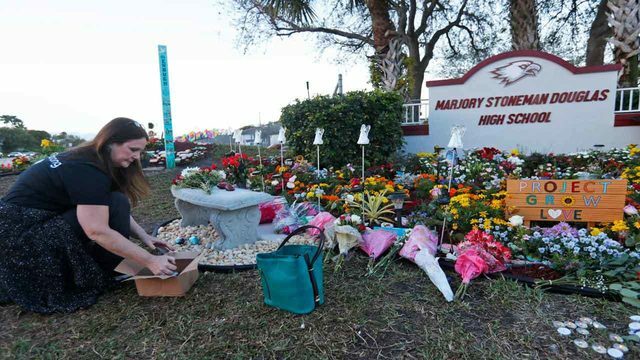 "It's like just so unreal to think that it could happen here. Like you see it on the news and you’re like how does something like that happen but...it was very scary." Stern told Local 10 News that the driver lost control and drove through the glass. The driver barely missed an employee inside who jumped away from the glass to avoid being hit. "I heard the screech, and just out of the corner of my eye, just out of my peripheral vision, I just see the tail end of the car coming," James Jones said. Jones said he was putting together a toy car when the car crashed into the glass. "Immediately, I started crying and, you know, just (the) joy of being alive," Jones said. Jones is now at home getting some rest, but is doing OK.
Local 10 News reporter Christian De La Rosa was told the driver, who was an elderly woman, didn't suffer any visible injuries, but was taken to the hospital as a precaution. It's unclear what caused the driver to lose control of the vehicle.